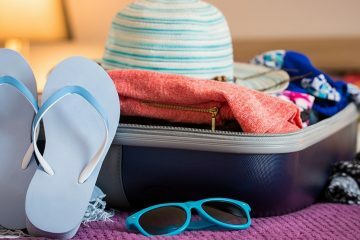 Be prepared for everything with our tips for packing for a family beach vacation. Collapsible beach tents like this one are a great way to keep kids out of the sun. Ah, the beach! Is there any more perfect place to take wiggly children? With the sand and surf at their fingertips, they virtually entertain themselves, right? Hardly. As any parent knows, a fun day at the shore can quickly shift to frustration if you lack the right supplies. Sunburns, sand down suits, unexpected hunger pangs, bouts of boredom — any of these can turn a day at the beach into downright drudgery. 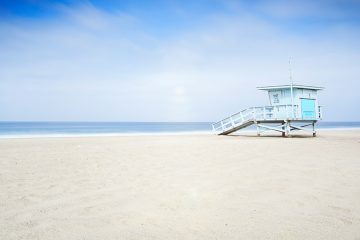 Fortunately, you can head off most of the common beach trip pitfalls with a just a bit of prior planning. 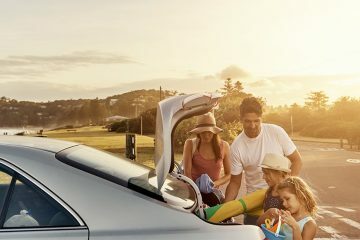 Read on to discover tips, tricks and strategies that’ll help you make the most the rest of your family beach vacations. This first step might sound obvious, but plenty of family outings stumble because parents failed to consider the sort of beach to which they were taking their clan. The strip of sand outside of a major resort area offers radically different opportunities than a gorgeously isolated slice of tropical wilderness. 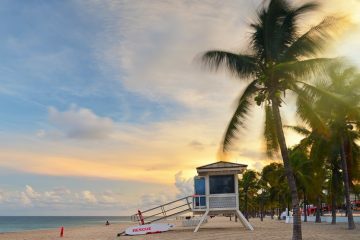 Similarly, you’ll have to plan in a totally different fashion when visiting an area with a prime partying scene than if you’re traveling to a family-centric location such as, say, Cocoa Beach or San Diego. Is there anything else you can do if the heat starts getting to your little ones? Yelp, TripAdvisor, Lonely Planet and Wikitravel are all obvious guides, but don’t forget about Google Maps. With a little zooming and filtering, you can discover local gems that pundits might’ve missed. A friend once said to me, “I think there should be a support group for parents attempting to apply sunscreen to their children.” No joke. Kiddos seem to universally abhor keeping sun damage at bay. Yes, there are options other than slimy, sticky sunblock. However, they all come with various downsides. Kids rarely mind spray sunscreen, but it’s easy to apply unevenly. Sunscreen wipes solve that issue, yet they often carry a premium cost. That’s why it’s smart to supplement chemical sun protection with my favorite ways to block those burning rays: cloth and shade. Options abound when it comes to sun shirts and floppy, kid-friendly hats. Collapsible beach tents get my vote over traditional umbrellas, too. These open and airy structures can pop up or break down in minutes, and at day’s end, they often mean the difference between a happily tired child or one who’s raw with sunburn. Learn how not to overpack while still bringing everything you'll need for your cruise! Plus we include a cruise packing list, so you won't forget a thing. There’s a universal truth that every adult ought to remember while on a family vacation: no matter how exotic the setting or beautiful the scenery, kids get bored. This is doubly true at the beach. Sapphire waves can only entrance for so long, and an idle child can transform a visit to paradise into purgatory. How can you head off such a plunge? Well, in addition to making sure the setting fits your family’s temperament, there are plenty of fun games and activities you can plan ahead of time. Shovels and pails, frisbees, paddleball racquets and footballs are all de rigueur, so consider trying something more creative to keep the little ones entertained. Mixing sand with non-toxic food coloring in plastic bags can lead to multi-hued sand castles. Better yet, transform your tallest sandy peak into a baking-soda-and-vinegar volcano. Paint designs in nail polish on exposed skin and rub it off with remover at the end of the day for a temporary tanned tattoo. Line the bottom of your cooler with frozen water balloons and start an impromptu fight once they’ve all defrosted. Have your children turn empty shoe boxes into tiny temporary terrariums filled with sand, shells and seaweed. The possibilities are truly endless! While we hope the weather on your beach vacation is nothing short of spectacular, you should be prepared for a rainy afternoon at the very least. Be armed with ideas for things to do on a rainy day, and always keep a deck of cards on hand. Sand is a constant concern after a trip to the beach, and those irritatingly persistent granules just love to follow you home. Consider packing beachy items in a mesh bag so that sand can’t stow away in any nooks or crannies. Speaking of sand, one of the best ways to get it off of little limbs is to sprinkle a damp sock with cornstarch, which makes for easier, gentler wiping. There’s a myriad of wildlife at the beach, not all of it friendly. Keep bug spray handy to ward off sand fleas, sand flies and mosquitoes. Jellyfish can also be a problem, and if your kiddos get stung, a baking soda poultice or hydrocortisone cream will ease the pain. Dropping your keys or smartphone into the drink is a great way to get your vacation off on the wrong foot. Fortunately, a waterproof lanyard should head off that issue. Have a rambunctious boy who needs active engagement? Reenact Luke Skywalker and Darth Vader’s epic final duel from Return of the Jedi using a pair of Mashoonga sticks. No nearby restroom? Head off potty-time disaster by keeping a folding travel toilet at hand. Simple, non-sticky snacks (think crackers, nuts or dried fruits) and juice boxes can head off hunger-related tantrums. The sand and waves are calling. Here are the beach essentials you'll need to make your day trip or week-long vacation a (ocean) breeze. These Family Vacation Packing Tips Will Ensure You Don't Forget a Thing! Here are the tools you need to never forget anything ever again! From tips on the packing process, to a family vacation packing list, plus so much more. Kids love nothing more than spending the day playing in the sand and water. These are the best family beach vacations in the world!